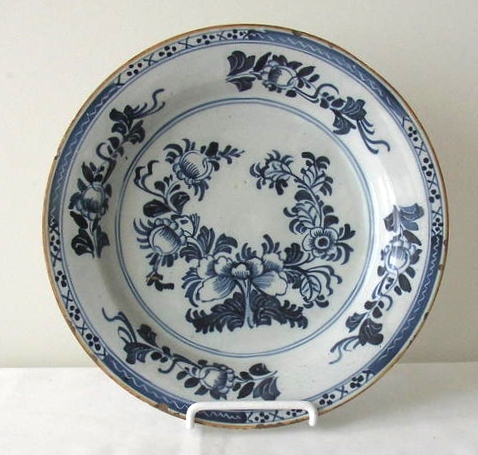 Mid size Delft charger/shallow bowl, probably Dutch. Nicely done blue and white floral and banded edge decoration with mustard yellow outer rim. Excellent original condition with no restoration or cracks/hairlines. Normal scratches and edge fritting from use. 10 3/8″ diameter and 1 3/8″ deep.